2014 is the year of the horse: seen as an auspicious symbol for swift success, it bodes well for Sotheby's International Realty Affiliates LLC. The company announced it has secured approval to conduct business in mainland China, and has signed an agreement with Beijing Xin Rui Zeng Yi International Real Estate Brokerage Co. Ltd., which is owned by Plus Investment Holding Group (Beijing), to launch Beijing Sotheby's International Realty. It’s being called a “watershed” moment. Liu Gang will serve as chairman of Beijing Sotheby's International Realty, Kevin Corbett will serve as chief executive officer, and Jim Hao as general manager. 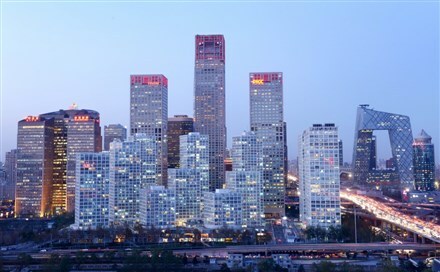 Beijing Sotheby's International Realty is scheduled to open in the first quarter of this year. China's current real estate industry, as well as sales totals and prices, achieved high levels of growth last year. Limited investment options in China mean real estate has been a popular choice for consumers looking to expand their portfolios. "Doing business in China is a key milestone for our brand," said Philip White, president and chief executive officer, Sotheby's International Realty Affiliates LLC. "In September 2012, Sotheby's became the first international auction house licensed to conduct auctions in China through its joint venture Sotheby's (Beijing) Auction Co., Ltd. Concurrent development in China has been a priority for the Sotheby's International Realty brand for the last several years." "We strongly believe that under the leadership of Mr. Gang and Mr. Corbett, the Sotheby's International Realty brand will have a strong foothold in Beijing, China's capital." China has the world’s largest population (1.4 billion) and China is currently the world's fastest-growing major economy. 1 million Chinese are able to call themselves millionaires. Of those, 184,000 live in Beijing. On every street in Beijing there is a protected wall of construction and that's at street level. Look up and towering above is skyscraper after skyscraper. There is a high demand for housing and little sign of a cooling real estate market. "Our team has extensive experience with high-end consumer goods, and together with the Sotheby's International Realty brand's global reach, we can combine our local knowledge to create a trusted resource for those seeking to invest in Beijing's real estate," said Gang. "We look forward to further growth and expansion in the key luxury markets of mainland China." With the opening of Beijing Sotheby's International Realty, the Sotheby's International Realty® brand will have 27 offices throughout Asia in Australia, Beijing, Hong Kong, Japan, New Zealand, the Philippines, Taiwan, Thailand and Vietnam. The Sotheby's International Realty network currently has nearly 14,000 sales associates located in approximately 680 offices in 49 countries and territories worldwide. Sotheby's International Realty listings are marketed on the sothebysrealty.com global website. In addition to the referral opportunities and widened exposure generated from this source, the network's brokers and clients benefit from an association with the Sotheby's auction house and worldwide Sotheby's International Realty marketing programs. Each office is independently owned and operated. For more information, visit www.sothebysrealty.com.